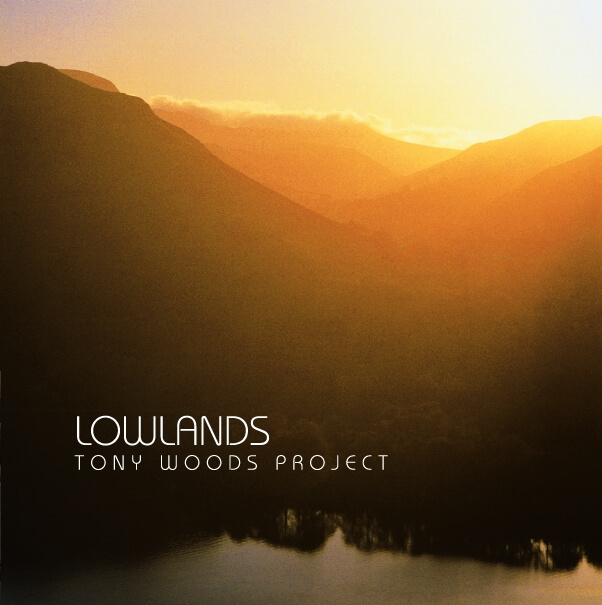 The new album by the Tony Woods Project – ‘Lowlands’ (SRCD 6-2) draws its inspiration from world music and in particular the indigenous melodic folk idioms of his native Britain. Tony Woods’ quirky and uplifting compositions combined with outstanding musicianship from the whole band create a highly distinctive and individualistic sound. The collective improvisations are often reminiscent of early forms of jazz where the instrumentalists weave their lines around each other and are incorporated into bigger structures. Featuring the work of two rising stars: Mike Outram (guitar) and Milo Fell (drums and percussion), and long time associates Robert Millett on vibes and Andy Hamill on bass, the group displays a high degree of empathy and respect for each other and the music. This album by British saxophonist and flautist Tony Woods and superb guitarist Mike Outram first sets itself up as a Jan Garbarek-infused exercise in ambience, and turns out to be completely different. Woods is a deceptively reserved player with all kinds of hidden fires, from postbop ferocity, to free music and funk. All the compositions here are his own, with the exception of two traditional folk tunes, and the quality of the materials, the inventiveness of the improvising and the tightness of the band (the Gary Burton-like Rob Millett is on vibes, Andy Hamill on bass and Milo Fell on drums) are imaginatively balanced. When I read that Tony Woods had a folk music background and took much of his inspiration from traditional folk melodies, I came to his latest work thinking that it would typify something quintessentially English. In the jazz world, I thought, the Tony Woods Project will be the ones to stand firm against the tide of Americanisation which is said by those sociological types to be flooding the world and erasing indigenous local cultures. Indeed the folk element of Woods’ compositions does add a certain geographically unique tinge to the music presented on “Lowlands”, situating it firmly in the British Isles. It does more than this, though. It is a key part of what makes Woods so innovative, providing a valuable thread in the tapestry that sees him weave together obvious musical skill with a refreshing take on what jazz today is all about. “Lowlands” is an album firmly centred around musical skill. Tony Woods has an impressive musical pedigree, having received classical training as well as studying jazz and growing up in a folk-playing family. It is not surprising, then, that he is a talented arranger. His translation of traditional tunes into a jazz style is at once something fun and something clever. The album’s title track is a study in how haunting and emotive the saxophone can be, whilst “Old Joe Clark” uses standard jazz devices to make something traditional sound fresh and modern. 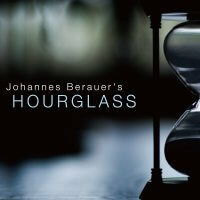 Good rhythm and a rambling, freeform approach to interpreting the central melody combine with excellent work from each of the individual musicians to produce a great finished piece. 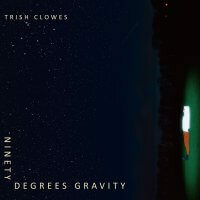 The avowed desire of the group to mimic early jazz recordings by improvising collectively and “weaving their lines around each other” is evident here and throughout the album. There are many opportunities for each of Woods’ gifted collaborators to shine in their own right, and they certainly grasp those opportunities. Particular praise should go to Milo Fell on drums, who enlivens each track he plays on with something rhythmically innovative that is somehow not intrusive. The shimmering waves of percussion at the end of “Penny’s Whistle” are just sublime. Rob Millett, too, is exceptional as he works his vibraphone around Mike Outram’s guitar playing on “Presence (at Christmas)”, creating something with spark and yet profoundly contemplative. The superior musicianship on this album adds a high gloss of quality to each of the original compositions, which are extremely well constructed pieces. Changes of pace and tone from section to section in “Prayer” are handled with aplomb so that you get a real sense of musicians working together for an ultimate shared goal. Here we see shifts from the soft and smooth, but never bland, sax, to the jumpy rhythms of bass and guitar. Dreaming is transformed into dancing, but the transition is seamless and it just feels right. The sweepingly beautiful melody waxes and wanes before coming home to a beautiful ending that washes over you in a cleansing rush. There is plenty here to keep the mind of the listener active, which is a key feature of jazz that more modern exponents of the art form seem to so rarely appreciate. The Tony Woods Project, however, seem to have a collective empathy for the genre that enables them to do work that extends boundaries and challenges preconceptions. They are able to produce joyful modern takes on rural culture, such as the profoundly uplifting “Country Dance”, alongside hints of Arabian mysticism, as demonstrated on “Breakthrough”, or Indian music with a Celtic edge, as incorporated into “Penny’s Whistle”. They never resort to the conventional. “Chocolat” could easily have been recorded as a simple, lilting, flute tune, but it is infused with a delightful complexity. Woods’ flute soars like a bird at times before fading off into the distance at the album’s close. The Tony Woods Project have produced an excellent piece of work here that can only be commended. Their attention to detail and obvious collective connection have provided an excellent foundation upon which the arranging and composing talents of Tony Woods himself have been able to build. All of their efforts have resulted in an album that is enjoyable to listen to. It is relaxing without being boring, contemplative without being soporific and innovative whilst still being accessible and listenable. This is an album of uncommon finesse which restores ones faith in the fact that modern jazz still has new directions to take, gaining much from diverse influences but still learning its lessons from the culture rooted in our past and in our land. There is a clear trajectory evident in this album from the past to the future and from traditional cultural forms to modern jazz, and that, combined with the skill evident in the playing of the music, is an excellent reason to go out and buy it.